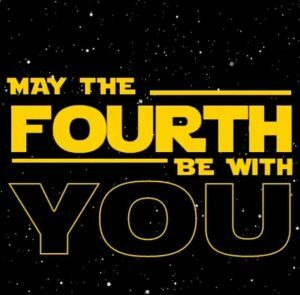 To add a bit of light-heartedness to your Friday, we have discovered that today is International Star Wars Day!! So May the Fourth be with you, and if the force thinks you need your carpets cleaned, we’ll be here for you! Not even Darth Vader can stop us going out and about breathing life in to carpets! We hope you have a fantastic long weekend here in Brisbane! https://www.reallycheapcarpetcleaning.com.au/wp-content/uploads/2018/05/31841517_10157401897809606_4208129787488632832_n.jpg 945 960 pippa https://www.reallycheapcarpetcleaning.com.au/wp-content/uploads/2017/05/Logo.png pippa2018-05-04 00:08:322018-05-04 00:08:32It's International Star Wars Day!